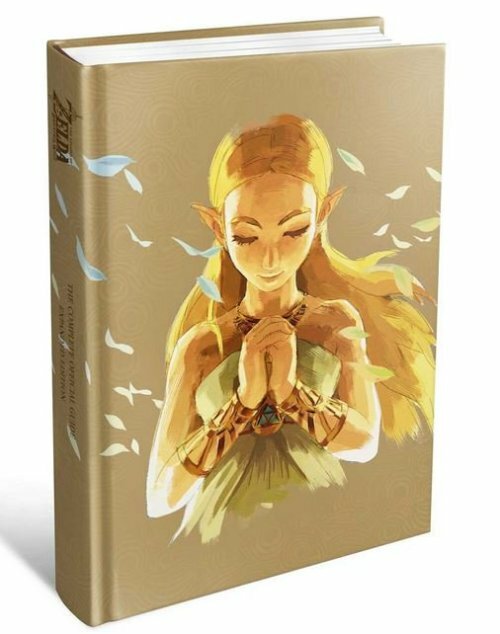 The Expanded Edition Guide to The Legend of Zelda: Breath of the Wild is a 512-page hardcover guidebook covering everything in the main game as well as the two Expansion Pass DLC packs “The Master Trials” and “The Champions’ Ballad”. INCLUDES: Expansion Pass concept art gallery; dedicated chapters covering both Expansion Passes; Reference and Analysis chapter; Maps chapter; all-new hardcover and an extensive 4-page Index. Maps Chapter: a dedicated 36-page atlas of Hyrule showing the exact location of all Korok seeds and treasure chests. Reference & Analysis Chapter: contains a farming manual showing how to acquire all items of prime interest efficiently; the best weapons and armor upgrades; the most effective recipes; the most lucrative gemstone mining spots; amiibo; merchants and much more. Expansion Pass Chapters: 34 pages dedicated to “The Master Trials” and “The Champions’ Ballad”. 100% AUTHORITATIVE: all side quests, all shrines of Trials and all information about collectible items fully mapped out; also includes optional challenges, mini-games, unlockables, Easter eggs, and more. At-a-glance Walkthroughs: annotated maps and screenshots show the optimal way through every quest and dungeon. Large map poster: two-sided and fully-annotated – covering the immense game area. Concept art: direct from the development team and beautifully laid out across two sections: 16 pages of concept art from “The Master Trials” and “The Champions’ Ballad” as well as a 16-page art tour of the main game. Puzzle Master: every single puzzle and riddle unraveled with refined, visual solutions. Expert Combat Strategy: practical, reproducible tactics to crush all enemies and bosses. Comprehensive references: exhaustive appraisals of all items and monsters – including key parameters that are hidden in the game. EASE OF USE: Instant searches, print navigation systems, extensive 4-page index and detailed map poster give you immediate access to the information you need. Leave Apple and Grab a Pie! What do Heraclitus and Pablo Casals have in common?